Why you want a yearly "physical" from your physician - Dr. Craig Wax, D.O. Annual health physical exams and review of patient's history have been a staple of medicine in modern times. Recently, though, it has come under fire in the age of third-party health insurance reimbursement and government intervention in healthcare. When other entities pay for care, others decide on what you get. Everything is viewed by "payers" is an expense and must be "justified." But, the question remains as to what justification is necessary if both the patient and their position of choice agrees on a test or procedure. Ideally, patients should choose their daily lifestyles, caregivers, and options for care using their own individual value systems. Yearly routine physicals are a perfect time to catch up on patient and family history. Yearly routine physicals give patients the opportunity to have a professional physician monitor all their lifestyle choices and options. Yearly routine physicals give physicians the opportunity to review patient labs and studies in accordance with patients best health goals. Yearly routine physicals deepen and intensify the human interaction creating a trusting patient-physician relationship. No person, entity or government should force you to have a yearly physical exam. But, all people should have the option to choose a yearly history and physical exam with the physician of their choice. It is truly an excellent way to measure the success of your lifestyle choices, family genetic history interaction, and life's random occurrences with your overall health outlook. 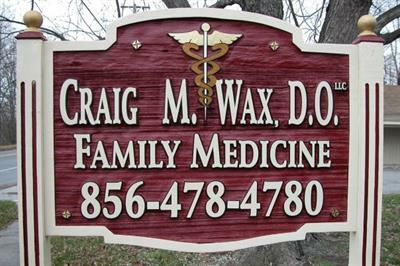 Craig M. Wax, D.O. is a sought-after speaker for fellow physicians and the public at large. He created HealthIsNumberOne.com in 1999. 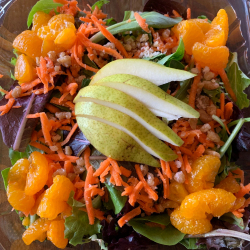 Craig M. Wax, DO, LLC of Mullica Hill, NJ provides information on health, nutrition, family medicine, preventive medicine, wellness, natural treatments, alternative medicine, integrative medicine, osteopathic medicine and just plain common sense.